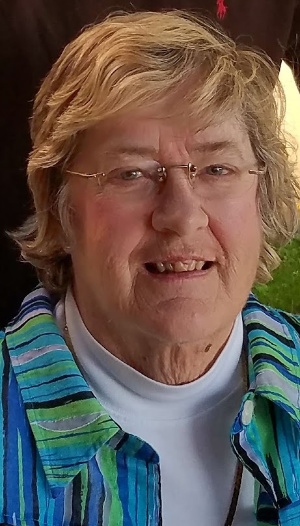 Barbara Ann (Witmer) McCrary, of Lancaster passed away unexpectedly on Wednesday, January 30, at home. She was 75. Barbara was the loving wife of the late Nickolaus McCrary and daughter of Frank and Pauline Witmer. She is survived by her children, son Timothy R. McCrary, of Kansas City, and daughter Julie E. McCrary of Lititz, PA, and was the proud grandmother of Brady Nickolaus Spielman and James Kailen McCrary. She is also survived by her brother, Frank (Trip) Witmer, his wife Cindy, and their children Curt Witmer, Ocala, Florida and Ashly Volkert and husband Steve, Tampa, Florida. A graduate of McCaskey High School (1961) and Millersville University (1965) Barbara spent her life taking care of others – as a teacher in the Cocalico School District helping students from other countries learn English, as a lifelong member of Bethany Presbyterian Church, and as an active member of the Pilot Club of Lancaster helping to raise funds and awareness for Project Lifesaver. She loved her family and friends and they loved her. She will be deeply missed. Family and friends are invited to attend a Memorial Service on Tuesday, February 5, 2019, at Bethany Presbyterian Church, 25, N. West End Ave., Lancaster, PA at 11:00 AM. The family will receive guests from 10:00 AM until the time of the service at the church. Interment at Indiantown Gap National Cemetery in Annville will be held at a later date. In lieu of flowers, donations can be made to Bethany Presbyterian Church or the Pilot Club of Lancaster, PO Box 8104 Lancaster, PA 17604. Tim and Julie, this is just such sad news. I remember your mama from Brownie days when she was Bonnie. She was a dear person , and she will be sorely missed. May God wrap His loving arms around you and grant you peace. Julie, Tim, I´m heartbroken by the sad news. I will always remember your mom and dad with a smile for the good moments we shared, and such sadness for their untimely passing. Please accept my condolences. Big hug. Dear Tim, Julie, Brady and Kail, I am so sorry for your loss. Barb was such a wonderful person, I always enjoyed when we would see each other as she always talked about her next adventure. I am so thankful that Brady had such a wonderful Grandma who he loved dearly. She was always there in time of need. You can find great peace knowing she is with her beloved Nick. My prayers and love are with all of you. So sad to hear about your mom. Know she had to be a great woman because she raised a great daughter. You and your family are in our prayers. Barb was such a wonderful woman. Knowing her through Bethany Presbyterian, we had many interactions with Barb. She was always so happy and always willing to help others in need. She enjoyed the choir, often praising the group after each Sunday service. Barb will be missed tremendously. Our thoughts and prayers are with her family and friends at this difficult time. I worked with Barb for many years at Cocalico Middle School. She was a beautiful friend and colleague, always there for her students and for her fellow staff members. I am taking some time to honor my memories of her, and sending love and prayers to her family. Gayle Thrush Pescuma Haines, ED.D. I’m sorry to hear of my younger cousin’s passing but know she’s in a better place with the Lord. the last time I saw any of the Wihitmers was at my aunt Polly’s funeral. Today’s my 85th birthday which is being celebrated with my family at my home on Captree Island, NY. I’ lost my husband. Jack in 2012. To Parkinson’s and Alzheimer’s. Fortunately I have 2 sons, 2 daughters, 9 grandchildren and 16 or more great grandchildren. I’m writing “Gayle’s Tayles’” to Let them know our family’s history and to tell all the stories of my life which will entertain all who read them. Meanwhile, pray for me to live long enough to get the job done. I miss my relatives from the Thrush family!!! What a wonderful friend to all. We grew ip together at Bethany…raised our children at Bethany…both became teachers. Shared joy of being grandparents…i will miss her. Alissa wanted to be at funeral but is teaching today. She loves your family. I’m so sorry to hear about your mother’s passing. Seeing her every year at the Thrush family party was so wonderful–she was always so happy, smiling, joyful, and kind. My heart goes out to you, and you’re in my thoughts and prayers! What a wonderful tribute to your mama today. Such a gift of love. She and your dad would have been so very proud. Your eulogy will touch my heart forever. What you did was a work of love, and I am so honored to have been there. May God bless you and keep you in His tender care. Hi Tim and Julie – So sorry to hear about your mother’s passing. I certainly enjoyed attending McCaskey with her as well as all the years your parents and Tim supported the music program at Bethany Presbyterian for the 24 years I was the organist and music director there. Very happy that we were able to share valuable time and experiences with all of you. Thoughts and prayers with you both. P.S. We are having lunch with Mark Anderson tomorrow here in Hershey. He works here in Hershey and we enjoy having lunch with him to catch up on our Bethany friends. Take care. We were shocked and saddened to learn about the untimely passing of your mother. She was a great friend and neighbor. As you probably know, she had the key to our house. If you happen to find it we will be home in April. The phone # is 717-333-6936.